Jennifer Byrne is an Australian journalist, television presenter and former book publisher. Jennifer has worked at The Age, Chanel 9’s Sunday program, 60 minutes, Foreign Correspondent, The Bulletin, and, of course, ABC’s The Book Club. In 1985 Jennifer won a Logie for her story on Paul Keating’s tax summit. Through her work with 60 Minutes, Jennifer visited Fred Hollows in 1992 while he was restoring sight across Nepal, the trip beginning the journalist’s deep connection with The Foundation. She first completed Coastrek in 2017 and loved it. “I couldn’t be happier or prouder to be joining the Coastrek team in the role of Patron,” she said. 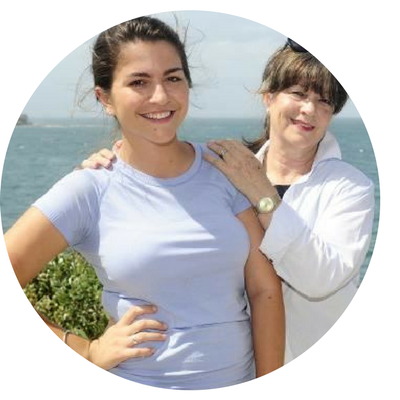 “I feel totally in synch with all the things it stands for - love of nature, a keen faith in the power and generosity of women, and a commitment to the work of the wonderful Fred Hollows Foundation. 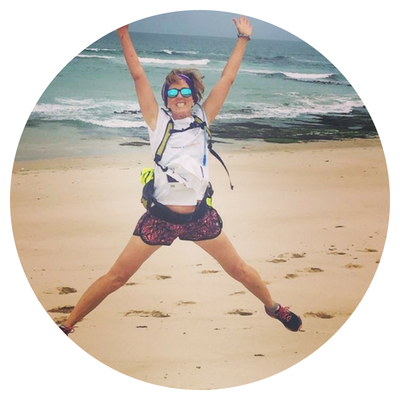 “Last year was my first on the Coastrek trail - and what a great day it was. I can’t wait until the next, in March, and am already signing up for new walks and adventures. Coastrek is an organisation growing all the time, opening up new ways to challenge ourselves and explore the beautiful and grand parts of the world. Places which lift the heart - and all the other organs too! I hope I can encourage other women to take the broadest possible interpretation of a healthy, full life,” Jennifer said. We are so thrilled to welcome Jennifer to the Coastrek family. 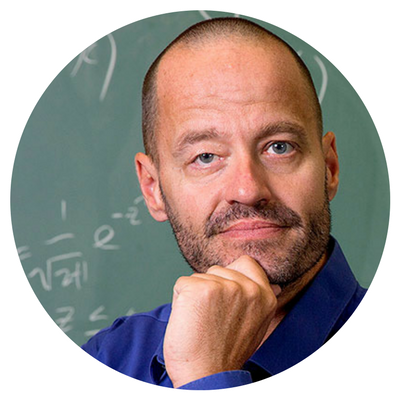 Well known mathematician, comedian, former TV and radio presenter and father of two, Adam Spencer walked Sydney Coastrek in 2011 to raise funds for The Fred Hollows Foundation and has not looked back. Adam met Fred Hollows as a child when the gruff eye surgeon operated on Adam’s ‘wonky eye’. As a Fred Hollows Foundation Ambassador, Adam has witnessed The Foundation’s sight-restoring work first-hand when he took part in a 'See the Work Challenge' trip to Nepal. After leaving ABC 702 in 2013, Adam maintained a strong connection with Coastrek as The Fred Hollows Foundation is exclusive charity partner for both Sydney and Melbourne events. Adam knows that for just $25, sight can be restored and lives can be changed. 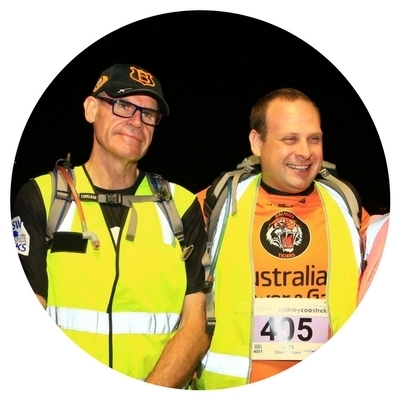 With a personal connection to Fred and the impact of his sight-restoring work, Adam is proud to be a Patron of Sydney and Melbourne Coastrek events. Gabi Hollows has been a driving force behind The Fred Hollows Foundation since establishing it with her husband Fred Hollows in 1992. As the founding director, she is the public face of The Foundation and a patron of The Fred Hollows Foundation’s Regular Giving Program. Gabi Hollows, one of Australia’s 100 Living National Treasures and wife of Professor Fred Hollows, has a close association with Coastrek. She supports teams each year, cheering them on during the challenge and waiting at the finish line to personally congratulate participants. Gabi understands the natural synergy that exists between Coastrek and The Foundation as she remembers how keen a mountain climber Fred was. Genuinely moved by the generosity of trekkers and their sponsors, Gabi has been amazed that Coastrek events have raised over $18 million which significantly helps The Foundation to keep Fred’s dream alive. Julie McCrossin is best known for her work on TV and radio - and is renowned for her warmth, humor, intelligence and commitment to social justice. Julie joined Wild Women On Top in 2000 and attributes much of her health, fitness, endurance and mental toughness to her experience with us. 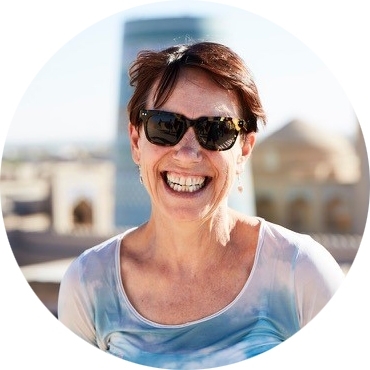 Julie was diagnosed with throat cancer in 2013 and believes that much of what she has learned through endurance treks and adventure with Wild Women On Top helped her through the really tough times…and there were many. 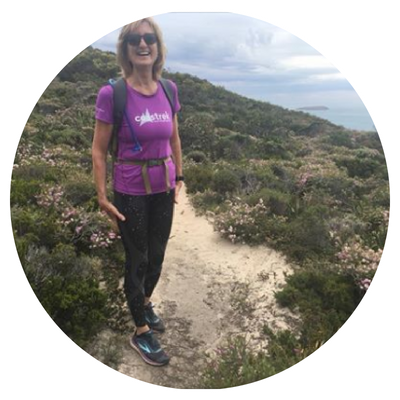 Sydney Coastrek 2018 will be Julie's 9th Coastrek! She is a wonderful advocate for our cause of getting women hiking, fitness, and health. Coupled with this she has seen the work of The Fred Hollows Foundation in the Jawoyn communities Northern Territory and has interviewed and broadcast many of their stories on Life Matters. Julie is a gem amongst gems - and we are honoured to have her as a Coastrek Ambassador. The beautiful Coastrek Community! People, teams, food, our beautiful coastline - there are so many things to be learnt in a Coastrek - so many things to be gained both personally and for people less fortunate than ourselves. I can't believe how encouraging and supportive friends and family are when it comes to Coastrek. It is such a community experience - it has a life and a buzz of its own. Meeting so many people while you are training and so many amazing people on the actual Coastrek day - you could never feel lonely or unappreciated. You can certainly spread the love - get the love - and get super fit in the meantime! Sarah Berry is a lifestyle journalist specialising in health, wellness and psychology at The Sydney Morning Herald, she has previously written for publications including The Australian Women’s Weekly (Australia’s highest selling monthly magazine), Cosmopolitan Magazine (The biggest selling magazine in the world), Artshub (the Australian arts portal), MiNDFOOD (media for smart thinkers) and Australian Creative. 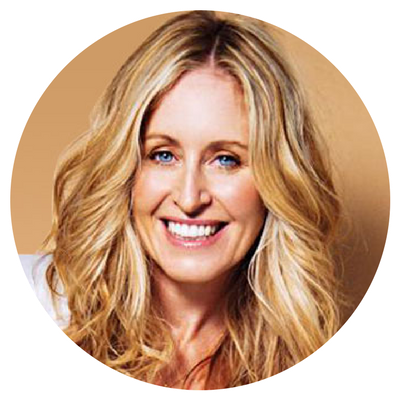 Angela Mollard is an Australian columnist, journalist, commentator, author and corporate speaker.She is a national columnist for the Sunday Telegraph, Sunday Herald Sun, the Sunday Mail, Sunday Territorian and U on Sunday. She regularly appears as a commentator on Channel 9’s Today show and Mornings as well as Sky News. Ruth, along with twin sister Rosa, is the youngest daughter of Australian ophthalmologist Fred Hollows and orthoptist Gabi Hollows. 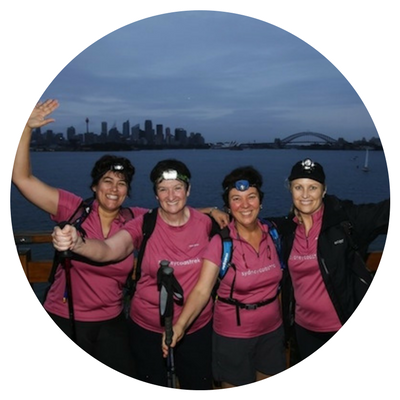 In 2011, Ruth participated in the Sydney Coastrek, taking on the 50km Day event. Two years later she became a Sydney Coastrek Ambassador, and in 2014 she completed the 100km Coastrek route from Palm Beach to Coogee. After completing school in 2007, Ruth spent a year living and attending school in Finland as an international Rotary Youth student. On her return, Ruth enrolled at the University of New South Wales and completed a Bachelor of Arts with a double major in Theatre and Performance Studies and Development Studies. 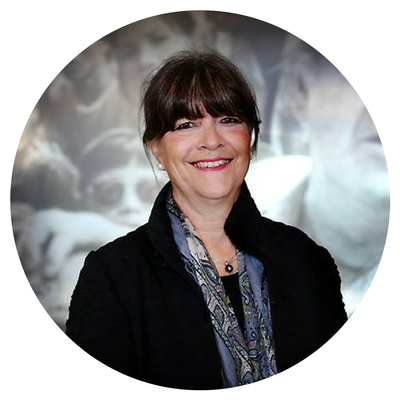 Since 2002, Ruth has had an active role at The Fred Hollows Foundation. In December 2010 Ruth travelled to Vietnam and Cambodia to meet with staff from The Fred Hollows Foundation projects. Ruth travelled to Nepal last year with her sister Rosa to see their father’s legacy in action. As Ruth watched Dr Ruit perform sight-restoring surgery she described what it was like to see the legacy of her father’s work, “It’s like making sense of a story you’ve heard your whole life”. 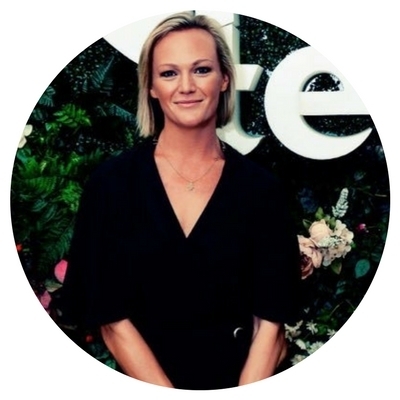 Caroline Overington is a two-time winner of the Walkley Award for Investigative Journalism; and a winner of the Sir Keith Murdoch Award for Excellence in Journalism. A former New York correspondent for The Sydney Morning Herald and The Age, Caroline she is the author of two non-fiction books, including Kickback: Inside the AWB Scandal, which won the $30,00 Blake Dawson Prize for Business Literature, and Only in New York, a comedy about taking her infant twins to live in Manhattan. Her study of the execution of Louisa Collins at Sydney’s Darlinghurst Goal, and19th century suffrage, Last Woman Hanged, won the 2016 Davitt Prize. She has written nine crime thrillers, including the No.1 bestseller, The One Who Got Away, which is a finalist in the 2017 Australian Book Industry Awards Book of the Year. Jacinta Tynan is an Australian news presenter and journalist. Tynan is a news presenter on Sky News Australia, where she has been since 2005. Prior to joining Sky News Australia she worked at ABC Television, where she reported and presented for ABC News and the 7:30 Report. She was also the anchorwoman for the ABC's International satellite TV service, the Australia Network (formerly known as ABC Asia Pacific). Tynan was a reporter for ABC News in Darwin and was a relief presenter for Australia Television News. She reported for Today Tonight on the Seven Network, then worked as a producer for APTN and Access Hollywood in London. I’m a lucky mum to three wonderful boys and wife of Scott who I like to imagine is lucky to have me, mad that I am at times especially if I’ve not had a daily dose of outside! My day begins or ends with a burst of activity either solo exploring a new walking track or hopefully I’ll persuade someone to join me as a shared experience is double the fun. After taking part in my first Coastrek I was hooked. There is so much more than event day to get excited about. Walking, talking and building fitness is all part of the build up along with finding a creative way to fundraiser for The Fred Hollows Foundation. You can’t help but be wowed by the stunning coastlines and the fact that the $$raised go to restoring sight . Ben Phillips has had to cope with failing eyesight from a young age and has been legally blind since his early childhood. He was born with a condition called aniridia; that is, without irises. Fred Hollows himself treated Ben as a child and even though his blindness could not be cured Ben’s parents encouraged him to get involved in life to the full, as a result he has led a very active life. Tethered to his running guide Ex Senator John Faulker, Ben has successfully competed in the Centennial Park ultra marathon, the New York marathon and many 100 km/50km and 60km Sydney Coastrek’s, raising thousands of dollars for the Fred Hollows Foundation. We would like to thank Ben and John so much for taking part in Coastrek and providing inspiration to so many trekkers along the way, also reminding us all at Coastrek why we are here.